MESHSLEEVE TUBE NETTING is made from a special blend of polyethylene resins to give it a softer feel, providing more cushion and protection for valuable parts. It also features greater elasticity than competitive products, for more versatility in covering a wide variety of parts. This tubular plastic netting should be your first choice for effective, economical and convenient protection of your valuable, precision tooled parts and components. Other sizes and colors are available! Please inquire via email or phone if you do not see what you are looking for listed below. 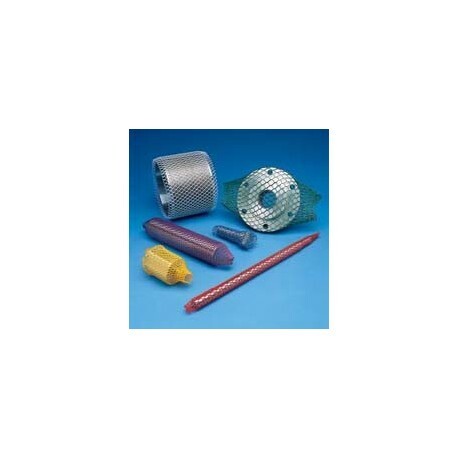 Mesh Sleeve Plastic Tube Netting is an economical choice for parts protection, and not just because of its competitive price. 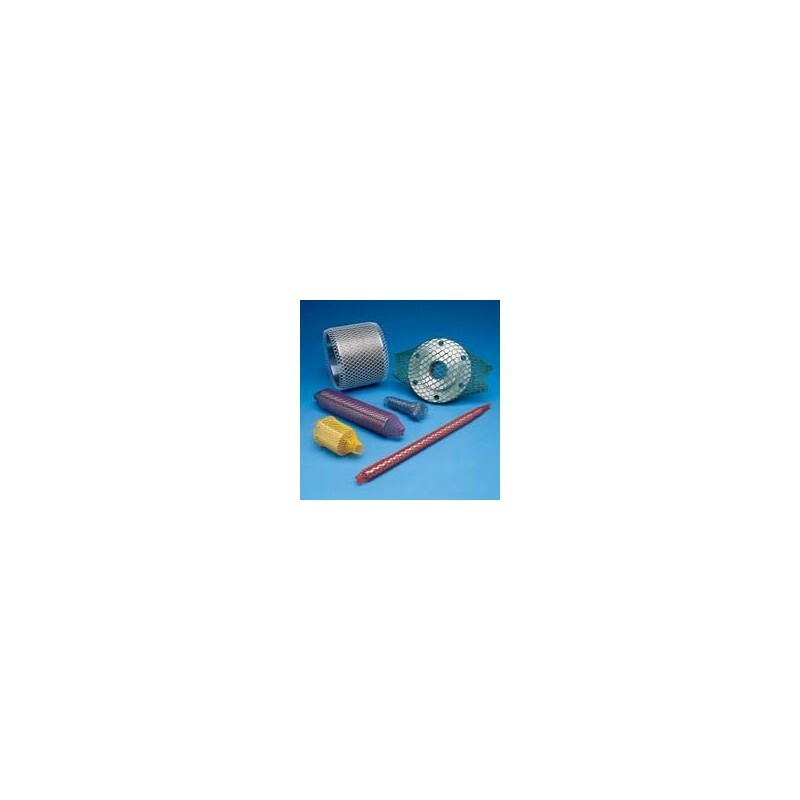 Its tubular form makes wrapping parts easy and convenient, saving costly labor time as well. And its reusable, making it more competitive with other more disposable materials. Mesh Sleeve Plastic Tube Netting comes in eight different colors, each identifying a particular diameter range, so parts identification becomes easy and convenient. Mesh Sleeve Plastic Tube Netting is packaged in convenient pop-up cartons for easy use and can be ordered in single cartons or multiple cartons on pallets. Bait Bags for Crab, Lobster and other Fishing applications.